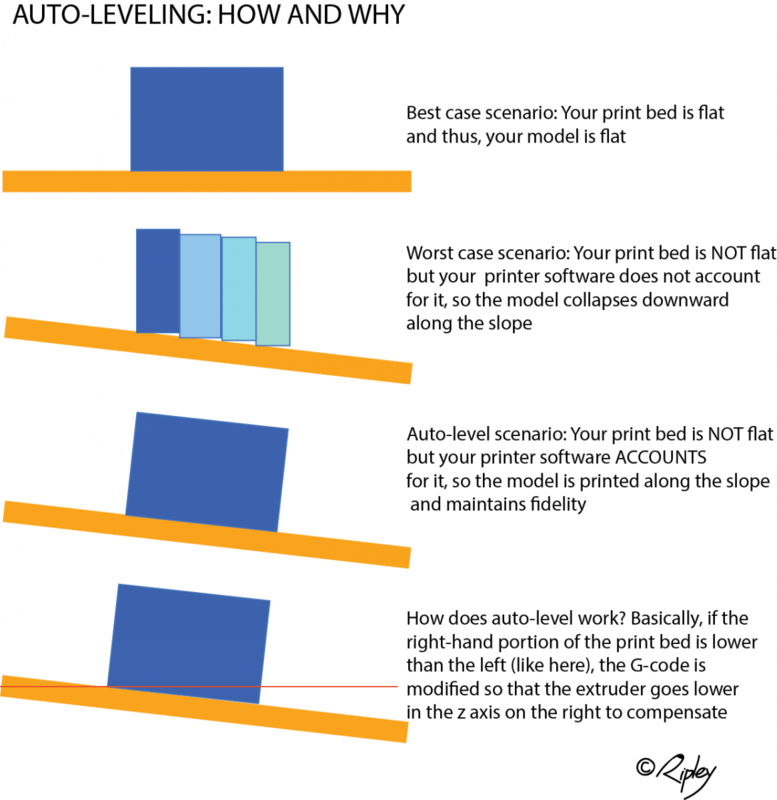 In a perfect world, your print bed would be exactly level. This, however, is seldom the case. Auto-leveling your print bed before each print allows the printing software to determine the exact position of the print bed. This allows it to compensate for any tilt by adjusting the g-code sent to the printer. This will improve the quality of your prints and avoid issues such as prints not sticking or your extruder jamming into the table.